Andre as Fezzik the giant in The Princess Bride. 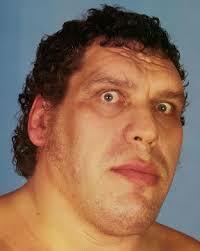 Andre the Giant was born Andre Rene Roussumoff on May 19, 1946 in France. He dropped out of school in the eighth grade thinking an education was unnecessary for a farm laborer. At seventeen, Andre trained for a wrestling career at night and worked as a furniture mover during the day to pay the bills. Wrestling promoters were quick to realize Andre's money-making potential because of his great size. 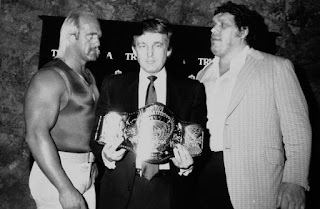 The Giant, The Hulk, and The Donald. Andre the Giant was billed as The Eighth Wonder of the World through much of his career. His World Wrestling Federation tenure came to a crashing end during WrestleMania III in 1987 when Hulk Hogan gave Andre a body slam followed by the Hulk's running leg drop finisher. Andre's immense weight resulted in his chronic bone and joint pain. On that night at Silverdome Stadium in Pontiac, Michigan, Andre the Giant passed the torch to Hulk Hogan. 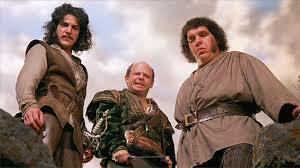 In the 1980s, Andre branched out and co-starred in several films, most notably the giant Fezzik in The Princess Bride. When Andre was wrestling in Detroit, he hung out at the Lindell AC sports bar. Over the years, people have written about Andre's gargantuan appetite for food and drink. Mel Butsicaris recalls one night when Andre came in after a wresting match at 12:45 am. "Many people ask me if I ever met Andre the Giant. Yes. He wasn't just tall. 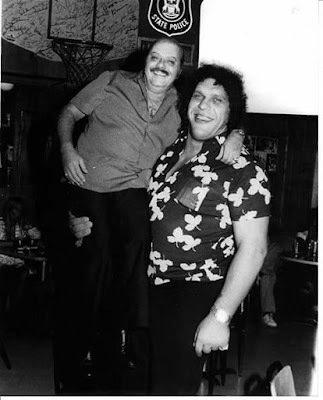 There is a photograph of Andre holding up my Uncle Jimmy with one arm. Look at the difference between a normal person's head and the size of Andre's head. He kept a minivan at the bar with the front seats taken out. He drove from the back seat. "You would not believe how much he could eat and drink. I remember one night when Andre ordered a cheeseburger with fries and two beers. We reminded him we were going out to dinner as soon as we closed the bar. Then, he ordered another and another.... In less than an hour and a half, Andre ordered nine cheese burgers with fries and two beers each. Our burgers were 1/3 of a pound of ground round. That's three pounds of meat, not to mention potatoes, bread, and eighteen beers. "Then we went to the Grecian Gardens restaurant in Greektown. Uncle Jimmy ask the chef to make Andre a special plate of food. They took a serving platter and filled it with a whole chicken, a couple of lamb shanks, pastichio, stuffed grape leaves, rice, vegetables, and all the Greek trimmings. Enough food to feed a family of four. Andre ate it all. We jokingly asked him if he wanted dessert. 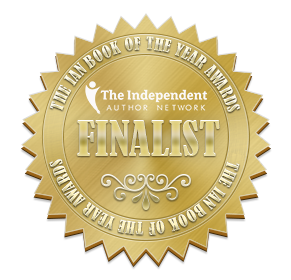 He replied, 'Not yet, I'll have another one of these,' pointing to his empty platter. I don't remember what he had for dessert." Andre's huge size was the result of gigantism caused by excessive growth hormone. The condition is known as acromegaly. It causes pronounced cheekbones, forehead bulges, enlarged jaw protrusion, enlargement of hands, feed, and nose. Internally, it causes a weakening of the heart muscle. Andre Roussimoff died on January 27, 1993 from congestive heart failure in a Paris hotel room at the age of forty-six. He was in Paris to attend his father's funeral and celebrate his mother's birthday. Andre's body was shipped to the United States for cremation. His ashes were scattered on his ranch in Ellerbe, North Carolina. Andre is survived by one daughter, Robin Christensen Roussimoff born in 1979. 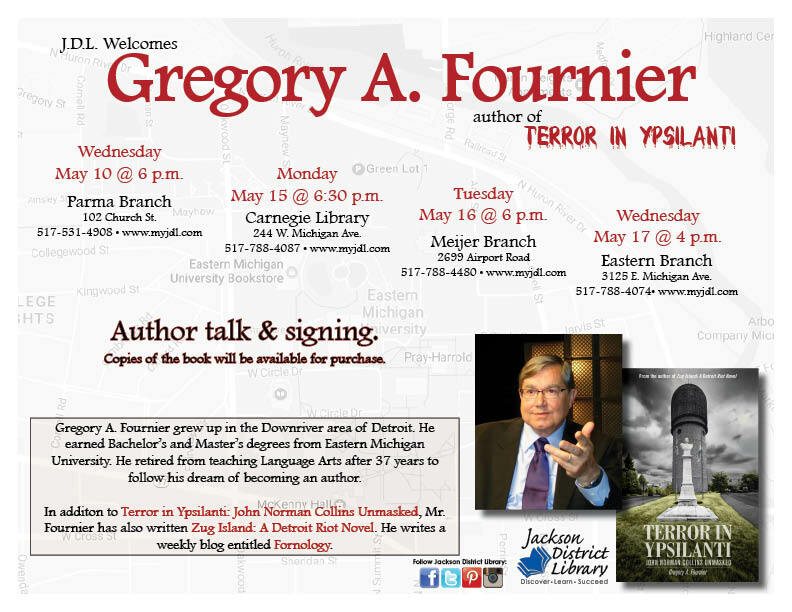 Soon, I'll be wrapping up my Michigan Terror In Ypsilanti booktalks. 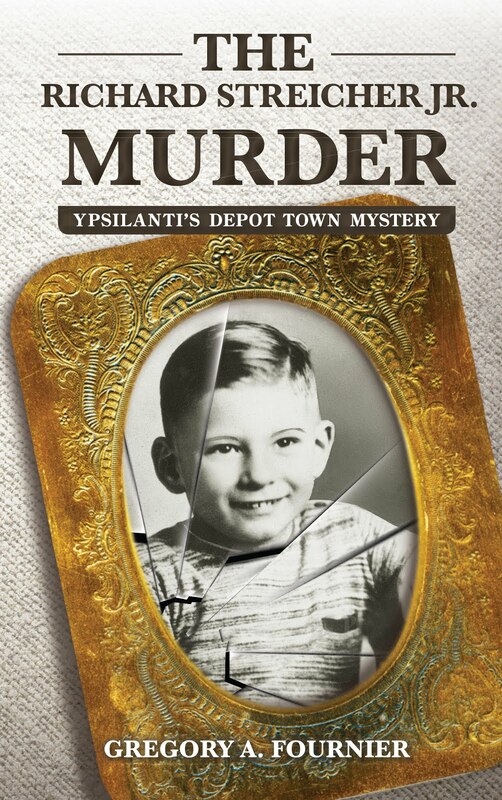 I'll be at the Ypsilanti District Library on May 11th and the Ann Arbor Barnes & Noble on May 13th. 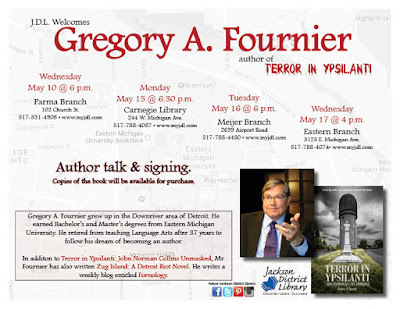 To round out this mini-tour, I'm giving four talks for the Jackson District Libraries as well. After a forty-five minute presentation, I'll take questions from the audience. 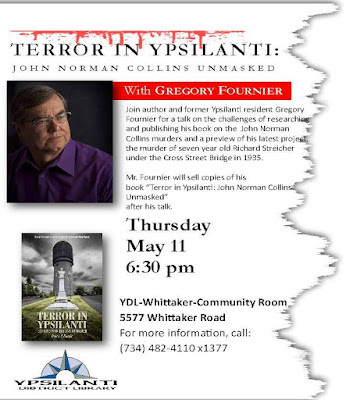 Books will be available for purchase before and after the talks as long as supplies last. 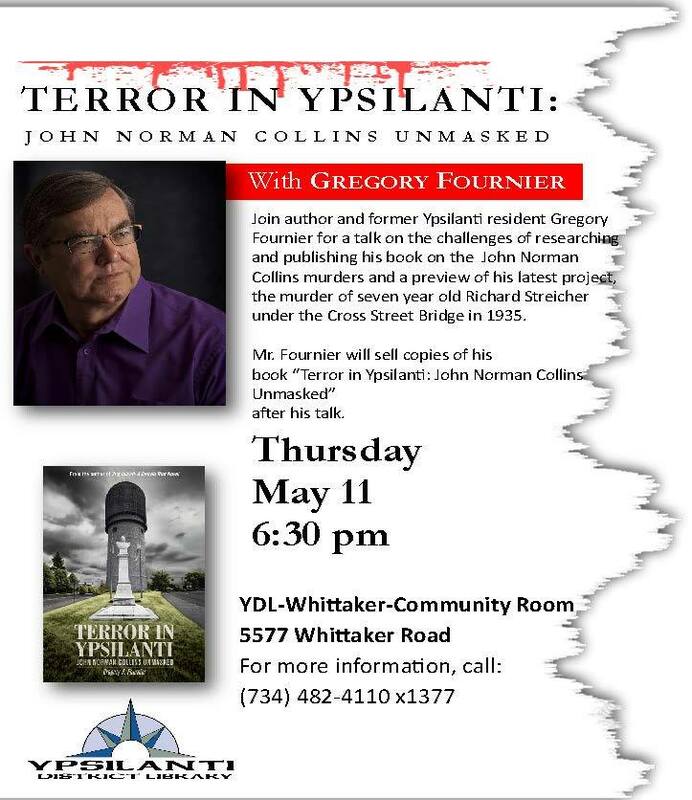 Terror In Ypsilanti: John Norman Collins Unmasked is available on Amazon in a quality paperback edition. 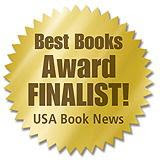 Kindle and all ebook formats are reduced to $6.95. 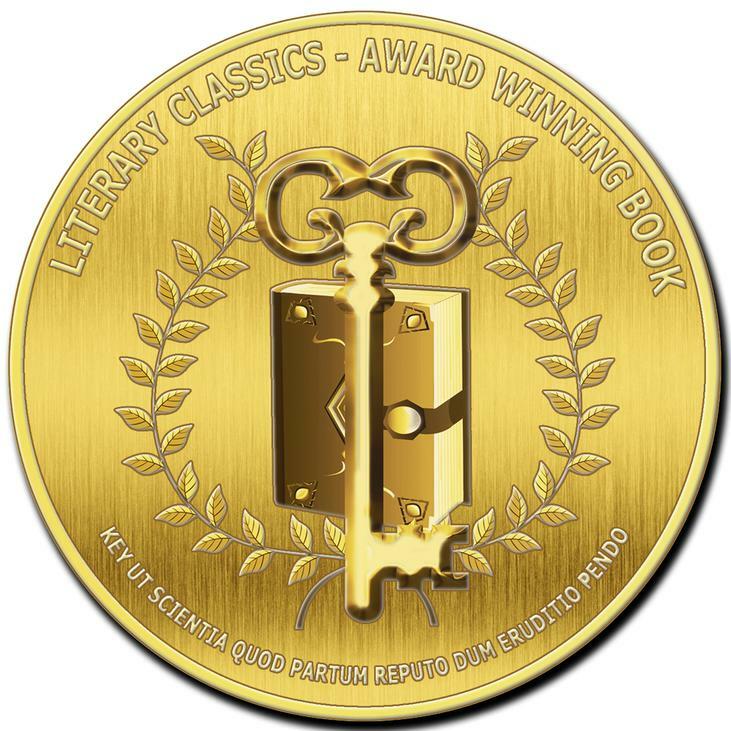 Now, an audiobook can also be purchased on Amazon. 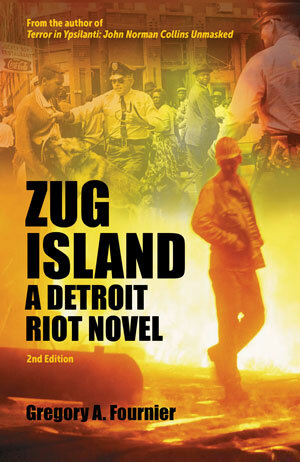 Makes a great vacation or airplane read. 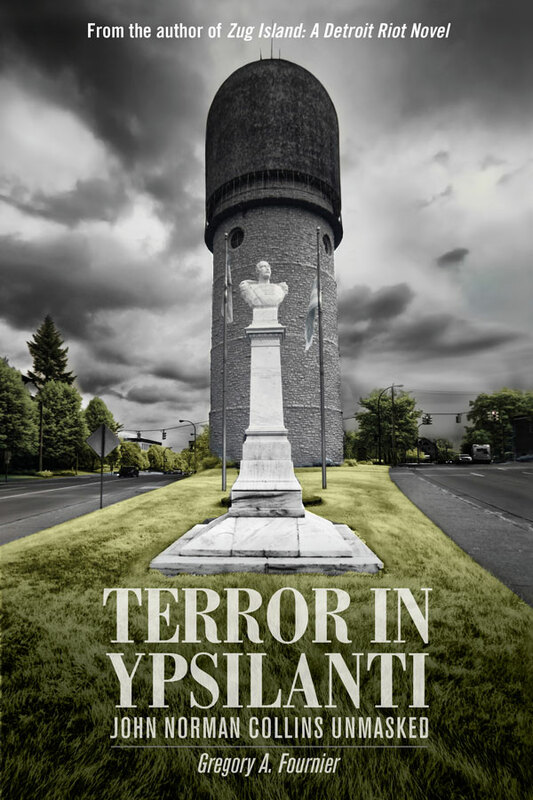 Click on the book cover in the right sidebar for more details.